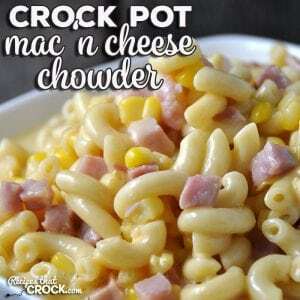 Crock Pot Mac 'n Cheese Chowder - Recipes That Crock! Ladies and gentleman, do I have a treat for you! 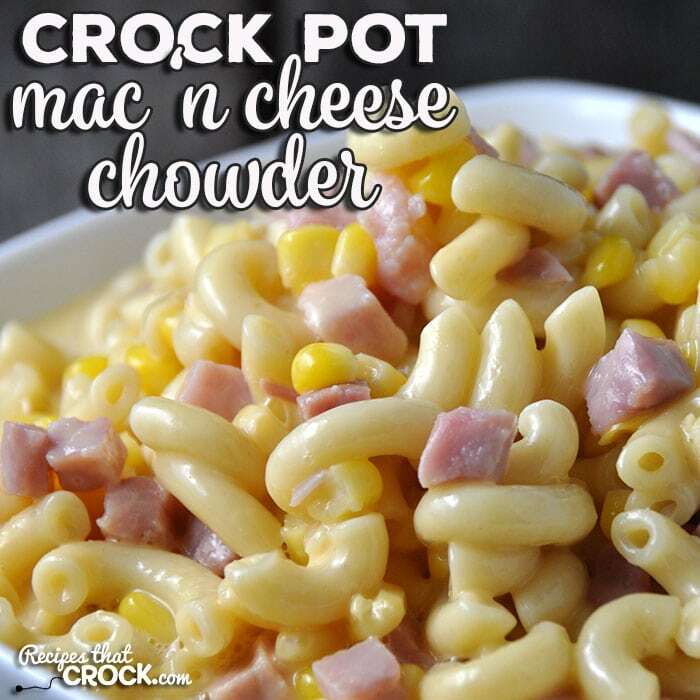 This Crock Pot Mac ‘n Cheese Chowder is an absolute crowd pleaser! I have small kids. With that, what was their absolute favorite dish ever one day could be completely left untouched the next day. So, when I find a recipe that has them asking for more every time we eat it, I am gonna hang on to that recipe and most definitely share it with you! When Ryder saw what we were having, his exact words were, “Mmmmm! I want some of THAT!” This momma was happy to oblige! In a medium saucepan, bring your water and broth to a boil. Add your noodles and cook until tender. Pour everything into your 2-quart crock pot, do NOT drain. Add in your remaining ingredients and stir until well blended. Cover and cook on low for 2 hours or high for 1 hour, stirring occasionally. For any of you picky eaters out there, I don’t like to mix my foods. Just ask Cris. She shakes her head all the time at me making sure my foods don’t even touch. 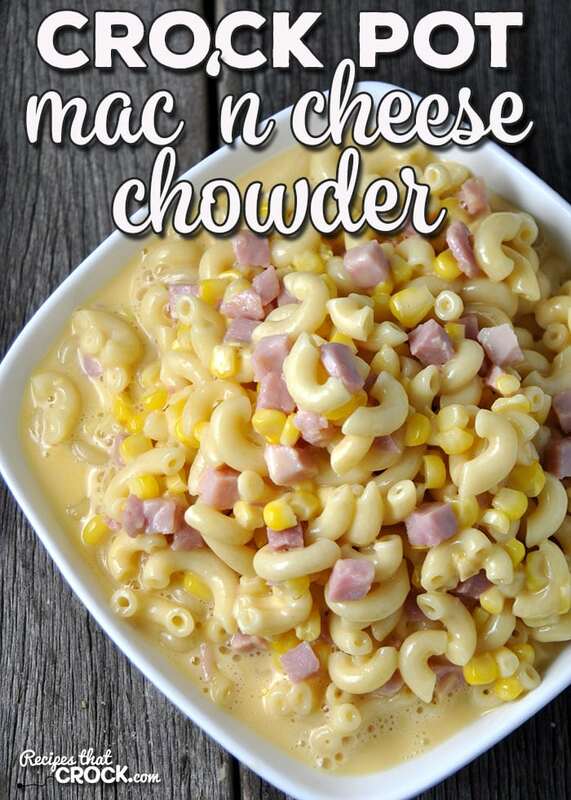 However, the corn in this yummy Crock Pot Mac ‘n Cheese Chowder is an added bonus and actually really adds to the flavor. From one picky eater to another, just give it a try. I bet you’ll like it too! In a medium saucepan, bring your water and broth to a boil. Add your noodles and cook until tender. Pour everything into your 2-quart crock pot, do NOT drain. Add in your remaining ingredients and stir until well blended. Cover and cook on low for 2 hours or high for 1 hour, stirring occasionally.